Facts and information about the History of Clothing and regalia of Native American Indians and the use of the fringe on their clothes. Many different types of clothing worn by various tribes featured fringes on dresses, jackets, shawls, bags, moccasins and shirts. The fringed additions served for both practical and decorative purposes. Buckskin clothing was adopted by pioneers, frontiersmen and mountain men complete with the fringes favored by the Native Indians. 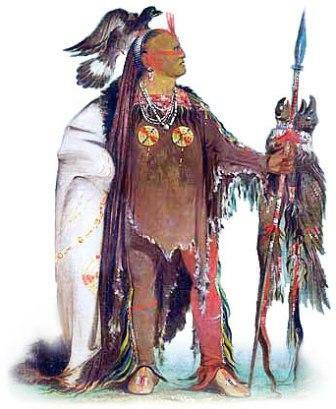 The history of traditional or ceremonial dress and regalia worn by Native American Indians is a fascinating subject. The following fact sheet contains interesting facts and information on the the fringe that featured on the clothes of many tribes. A Fringe was added to many articles of clothing including jackets, dresses, leggings, shirts and shawls. Fringes were also added to other items such as moccasins, bags (called a parfleche), knife sheaths, quivers and tobacco pouches. Native American Fringe Fact 5: Fringes were added to a garment in different ways. When making a dress, shirt, skirt of jacket it was a common practise not to trim the leather hides when sewing seams. Instead the excess leather was cut to create the fringes. Native American Fringe Fact 7: When making Moccasins the surplus leather was used for fringing the shoes and for making the straps. Moccasin fringes often trailed on the ground. Fringe Fact 14: Fringed Dresses featured fringes that hung down the front at the bust. Fringes also hung down from the hem, sleeves, and back. 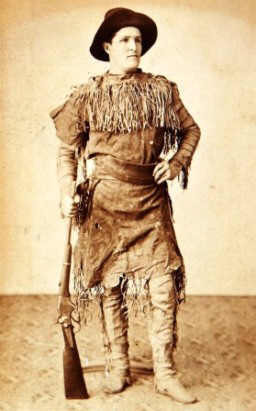 Fringe Fact 16: The fringed Buckskin clothing was copied by backwoodsmen, frontiersmen, pioneers and mountain men. The fringes were knotted to the inside of seams. The men wore so much fringe that some tribes gave them the nickname of the "Fringe People"